Your professional association at work for YOU! A Proud History The Indiana Funeral Directors Association (IFDA) was founded in 1880, and since then has served the funeral service professionals in the Hoosier State with innovation and service unlike any other organization. When Professionals Gather Professionals the world over unify for a common purpose with specific goals in mind, and IFDA members are no exception. Funeral service professionals have specialized needs in government relations, public relations, advocacy, and lobbying. Government regulations, for example, is an area constantly being scanned by IFDA staff professionals and retained consultants to prevent cumbersome or damaging legislation from interfering with our professional lives. The unified voice of IFDA serves to protect and advance the funeral service profession every day. Getting the Word Out IFDA is dedicated to getting to you up-to-the-minute information that affects funeral service in Indiana, on a national scale, and abroad. By keeping you in touch with relevant trends and developments, you are better enabled to run your business with the confidence of an informed professional. Critical Continuing Education Your professional association provides timely continuing education venues for all aspects of our profession, from embalming technique and developments to advanced business and technology trends affecting your funeral service career. Money-Saving Programs IFDA also brings you various programs for you and your funeral home, like insurances, employee benefits, and other products at cost savings, capitalizing on the strength and power of IFDA in the marketplace. Strength in Numbers Professional associations have been around for hundreds of years, all for one basic reason-a cohesive group can accomplish more than any one single member could do alone. This concept is especially true in areas of extreme importance, like government relations, advocacy with regulatory agencies, and lobbying. This "unified voice", through IFDA's lobbyists, volunteers, and staff is consistently before the Indiana Legislature, protecting your interests as an Indiana funeral service professional. Focus on the IFDA Member As the professional society of funeral directors in Indiana, the IFDA is solely focused on one primary goal-fulfilling the needs of the members. Funeral service is a constantly changing profession, and your needs change rapidly. IFDA is uniquely positioned to meet your professional requirements; continuing education, advocacy, public and media relations, and so much more. When a need arises, we'll be there. Personal Member Service When you contact IFDA for any reason, in any form, your inquiry receives prompt attention. Most associations cannot measure up to IFDA's level of competence and membership service, from practice issues to customer care ideas. Our staff and leaders treat you like you treat your client families...promptly, accurately, and with the level of care you expect and deserve. If you haven't had a reason to contact IFDA, ask one of the hundreds of members who have been assisted with a wide variety of challenging issues and questions. Serving you is what IFDA does...all day, every day. What do I get for my dues dollar? Access to the money-saving insurance programs and the MasterChoice Trust of Hightower Services, Inc. This is not a complete listing of the many benefits afforded IFDA members. New services and benefits are added consistently, based on the changing needs of the membership. Your Association takes pride in its stewardship responsibilities of your resources. Numerous checks and balances are in place to ensure that the highest fiduciary standards are met and exceeded, including oversight by the Finance Committee and a third-party professional audit of every IFDA transaction. LEGISLATIVE SERVICES - GOVERNMENT RELATIONS IFDA's retained legislative affairs professionals, along with volunteer leaders and staff, ensure that your agenda is known to legislative and regulatory bodies. ANNUAL CONVENTION and EXPOSITION Each year, IFDA members gather for the Annual Convention, the largest and oldest funeral service gathering in Indiana. Members are treated to top-notch seminars for education, funeral service trade exhibits, social events, professional networking-all in an atmosphere of camaraderie and fellowship among professional peers. For a registration fee of less than $150, members receive all the hours of continuing education they need in two years, admission to the trade show floor, several meals and social events-- a $500 value!! DISTRICT MEETINGS District Directors in IFDA's regionalized Districts hold annual meetings for all members to provide timely education and fellowship, and to update members on new programs, services, and developments within IFDA and the funeral service profession. FAMILY SURVEY SERVICE See what your families really think about the services and merchandise you provide. Be a "leg-up" on your competition by responding to consumer needs faster. EMPLOYEE HANDBOOK Protect yourself from unnecessary employment hassles by letting us provide you with a custom written employee handbook. "On My Own Time" CORRESPONDENCE COURSES Earn CE credits from your office or living room. Call us for a list of the expanding lsit of topics. VOLUNTEER LEADERSHIP OPPORTUNITIES IFDA actively recruits and trains volunteer leaders for service on the Board of Directors, as Team members, and for special and standing committees. Members can lend their unique talents to the advancement of funeral service, while sharpening their leadership skills. MEMBERSHIP FEEDBACK AND INPUT As an IFDA member, your input is sought, valued, and acted upon regularly. The best ideas for new programs and services come from fellow members willing to share an idea. IFDA's direction is member-focused. NEW PROGRAMS & SERVICES As funeral service as a profession is always evolving, so does the IFDA change rapidly to meet the needs of the membership today-and tomorrow. The leadership and members of IFDA are testing and developing new member service ideas all the time. Members are updated by IFDA's communication channels to all members when new products and services develop. Watch for them! BOOK OF FACTS - a comprehensive resource volume, published every year, containing detailed membership contact information, federal and state laws and codes, airline and consulate information, roster of state legislators-you name it, it's in there. E-MAIL NEWSLETTERS AND ANNOUNCEMENTS - for up-to-the-minute information on critical news, IFDA members get instant messaging via e-mail. IFDA WEBSITE - your 24-hour source for "hot news", legislative updates, searchable Indiana funeral service laws, downloadable forms, continuing education calendar, instant announcements, member programs and services, and a whole lot more! Simply log on to: www.infda.org to keep up with IFDA anytime, day or night. The IFDA newsletter, helping you keep abreast of legislative developments, State Board actions, and classified advertisements from and for members. Our staff provides information and support to members on a daily basis, assisting them with almost everything from regulatory compliance to new customer care ideas. Whether you need us to help with difficult insurance carriers, banks, or government offices, we have the experience and contacts to help you get what you need. To receive your information packet and enroll, please call IFDA at 1-800-458-0746, or (317) 846-2448. HIGHTOWER SERVICES, INC.-IFDA's for-profit subsidiary, delivering an enhanced membership experience. Hightower Services, Inc. is the for-profit business partner under the IFDA "Corporate umbrella" that provides support and services to IFDA, enhancing the membership experience. Hightower owns the headquarters building that houses the IFDA offices; expands the business horizons of IFDA, bringing valuable and unique services to the IFDA members; supports IFDA financially in several budgetary categories, allowing IFDA to keep your dues and other costs lower; publishes the finest membership resource in the industry, the Book of Facts, administers the IFDA Insurance Programs through Agency Associates, Inc., and serves as the administrator of the popular Indiana Funeral Trust Fund, the MASTERCHOICE Trust. 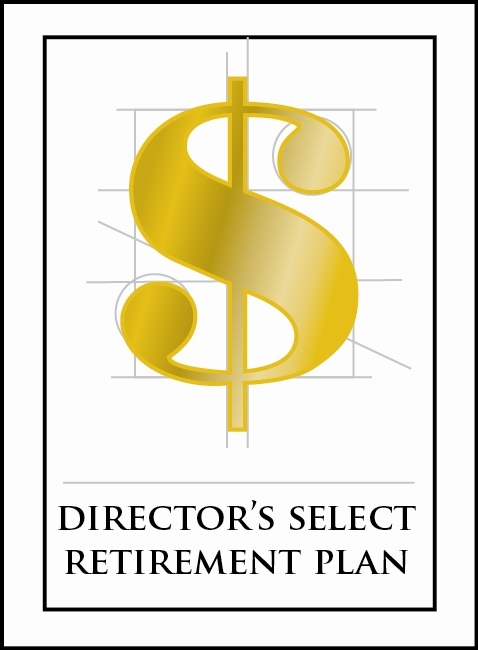 Director's Select Retirement Plan was created exclusively for funeral homes. Forget everything you have heard about 401 k plans being too expensive or too complicated for small businesses. THIS ONE WAS DESIGNED FOR YOU and we have solved the cost and complexity problems. Put away more for your retirement. Investments are custom created for your personal situation. Know that someone is looking out for your interests. Call us today! Click here to learn more about IFDA's endorsed collection agency, I.C. System. Discounts on Hertz car rental. the charitable and educational trust of the Indiana Funeral Directors Association, chartered under IRS code 501-C-3. Gifts made to the Foundation are tax-deductible for the donor. The Foundation serves to offset and supplement the costs of continuing education events for members, and sponsors other educational venues for your direct benefit. Among the recognized donors to the Foundation are the Isaac Ball Fellows, named in honor of IFDA's first President in 1880, Isaac M. Ball. The Foundation's assets are designed to bring you the highest quality education at the lowest cost to you. Great things happen... ...when professional peers share their knowledge to assist their fellow members. IFDA provides many opportunities for funeral directors to gather together to discuss industry developments, challenges, and solutions. in its publications to assist you in finding qualified employees, help you find a supplier for what you're looking for, or to sell items fellow directors may need. Simply fax or e-mail your ad copy to IFDA, and we'll run it in the next publication, as well as placing it on the web site. for interns and directors seeking new employment-IFDA will look over your resume and curriculum vitae, provide guidance in what employers are seeking, and keep your documents on file to send to potential employers. ASSOCIATION - What's in a word? The word "Association" can refer to everything from a mental connection between thoughts (associated ideas) to an organized group of people sharing a common interest, purpose, or set of goals. Seventy percent of Americans belong to at least one association; twenty-five percent belong to four or more. Frequently, the associations to which we belong are connected to our livelihood or business-connecting us with those who share our interests and needs. But beyond our enrollment and continuing membership, what do we look for in IFDA? Many members look to continuing education venues to keep them in touch with the ever-changing environment, as well as help them retain their professional stature. Others look to the social events and conferences to explore new ideas for products and services, and be exposed to a variety of potential business opportunities. Most members spend considerable time reading the newsletter, fax and e-mail newsletters, and daily refer to the comprehensive Book of Facts. Many others look to District Meetings, Convention, and other seminars for vital, practical help on growing and developing a first-rate funeral service business. The members of IFDA comprise an unbelievable body of knowledge...know-how on just about every topic pertinent to funeral service. Your Association brings this knowledge together, in the form of seminars, conventions, meetings, and communications. The involvement and participation of each member is what brings all this together...all designed to benefit you and your business. What's our goal? We stand for growing and strengthening the funeral service profession in Indiana, leading to the growth of each member. As our profession faces change on a daily basis, IFDA collectively keeps pace with those changes, assisting each member to positively benefit . Just as you stand ready to serve your families in their time of need, IFDA is here for you. Serving you, so you can serve your families better. Your membership experience in the Indiana Funeral Directors Association will assist you with vital professional functions, give you access to the greatest resources available, and provide a network of caring, professional peers. The people of IFDA are its greatest asset and member benefit...and we're glad you're here with us, among friends.